Posted on Monday, 25 April 2011 by Hipma in D'Soul. Posted on Tuesday, 29 March 2011 by Hipma in D'Soul. 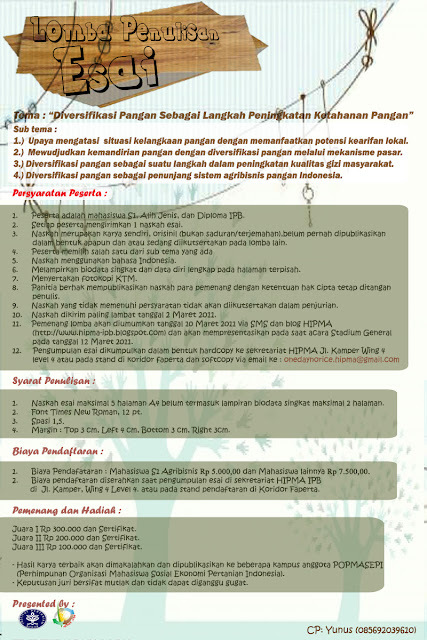 PENGUMUMAN Finalis Lomba Esai "One Day No Rice"
Posted on Friday, 11 March 2011 by Hipma in D'Soul. Posted on Tuesday, 01 March 2011 by Hipma in D'Soul.